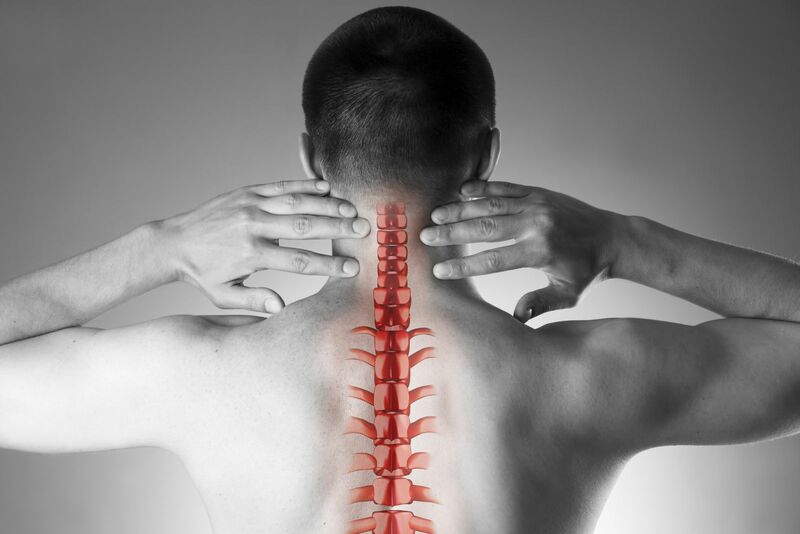 The spine is made up of 26 bones called vertebrae, which have soft, flexible discs in-between them to cushion and allow painless movement. When one of these discs slides out of place, whether because it has ruptured or simply fallen out, it is considered a herniated disc. These would not cause any real problem on their own, but when they move from their normal position, they tend to press against spinal nerves nearby. This is what causes pinched nerves that vary in their severity of pain. Many of the people who get herniated discs are already suffering from spinal stenosis, a condition that limits the space surrounding the spinal nerves, but they can occur because of an accident like a bad fall or simply because of extended straining. Everyone’s spinal discs get worn out and less elastic as we age, but should not cause physical injury unless ruptured or herniated. How much pain one experiences with a herniated disc entirely depends on its position. If it presses on a nerve, constant pain in the neck, back, arms or legs can appear. It could also cause only occasional pain in affected areas, or only get worse with any straining. In extreme cases, loss of bladder and bowel control may be experienced, which is probably a sign of cauda equina syndrome, which should be treated immediately. However, if a ruptured disc is not pressing on a nerve, little or no pain may be experienced. Other symptoms of a herniated disc can include shooting pains in the stomach and/or limbs, intense muscular pain or weakness, or just a tingling numbness in the affected area. If you are experiencing debilitating complications due to a herniated disc, you may be eligible for long term disability and/or Social Security Disability (SSDI and SSI). Contact Pensacola, Florida Attorney Nick A. Ortiz at 850-308-7833 for a free case evaluation.